Curtains are like a piece of clothing for a room. Just like your wardrobe, your choice of curtains shows off your personal style, taste, and perhaps even a bit of your attitude towards life. When you choose curtains from Leitner Leinen, you show off your appreciation for great quality and your subtle eye for beauty. Since its founding in 1853, Leitner Leinen in Ulrichsberg, Austria, has focused on natural linen, a beautiful and exclusive fabric.  Carefully created from flax fibres, linen forms the basis for our most beautiful interior design collections. We weave linen yarn for our curtains in jacquard patterns - a form of weaving that relies most heavily on the tightness of the fabric. If they were visible to the naked eye, you could count 40 threads per centimetre width. To ensure consistent quality, we always mix flax from different years. The weaving process must be carried out at painstakingly slow speeds - linen yarn is demanding and delicate to work with. The end product, however, is incredibly robust despite how fine it truly is. In our own sewing workshop, our professional, creative team transforms the finest natural linen into curtains and other home textiles that are always in line with contemporary tastes. First impressions count. When entering a room, the first impression says a lot about its resident. Besides the furnishings, it is always the curtains that characterise the appearance of a room. In addition to providing protection from light and prying eyes, they help create the ambience in a room and should complement its interior design style. It will be easy to find the perfect Leitner Leinen curtains thanks to our variety. Discover the rich selection of jacquard patterns, from classic to historic and baroque to minimalist-modern. You will find wispy, sheer linen fabrics as well as rustic, coarse options - perfectly suited for your interior design concept. Whether you choose ultramodern, down-to-earth or avant-garde and daring, the result will definitely trigger “oohs” and “ahhs”! All products from the house of Leitner Leinen are individually manufactured. In addition to standard curtain sizes, custom and special sizes are available upon request. Please note that you can choose from a variety of mounting options. From pocket curtains to tab top curtains and more - we are happy to make your vision a reality. Get inspired by the unique beauty of Leitner Leinen curtains! Browse our trendy jacquard print curtains and imagine the shimmery matte look of linen in your home. We are sure you will find the perfect choice!